Pacia Elaine Anderson | HOPE Global Forums | Presented by Operation HOPE, Inc.
Pacia Elaine is a visionary in the written and spoken word. She is a St. Louis-based written, visual, spoken, and teaching Word Artist that draws from the artistry inherent in language to connect with spirit, to make sense of the world around her, and to tell a good story. Her poetic work is a charismatic blend of rhyme, layered imagery, and fantasy, all of which are used to explore a diversity of subject matter through seemingly disparate concepts, the fusion of which encourages listeners and readers alike to examine the seemingly disparate parts of themselves and co-create visceral, emotive experiences. Her visual work serves as a conduit for moving us to contemplation, and for channeling the infinite possibilities for reshaping ideas, color, space, and the imagination to both remind and affirm the divinity in us all. An unwavering affirmer of the power of spoken word as a conduit for personal transformation, Pacia’s goal is to use her work to encourage others to find their voice. 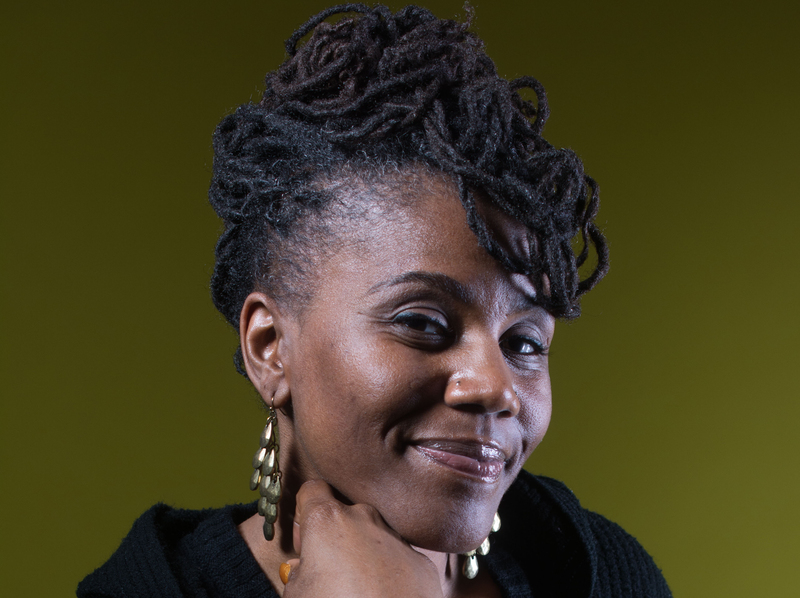 Pacia Elaine is a featured poet with St.Art, the St. Louis Street Art Festival and a recipient of the SWIC Golden Quill Award for Excellence in Journalism. She is a graduate of Regional Arts Commission’s Community Arts Training Institute, an Urban Bushwomen SLI Alumnus, and is a founding member of the art-based youth initiative Cherokee Street Reach. She is a Missouri Regional Coordinator for the National Endowment for the Arts’ Poetry Out Loud youth recitation competition and serves as a Dean in the Zukata Madrasa. Pacia is chair of the St. Louis Brick City Poetry Festival, and a Springboard to Learning, Bread & Roses, Yeyo Arts Collective, and independent contract teaching artist. She has also served as bookings and curation assistant to Inaugural St. Louis Poet Laureate Dr. Michael Castro and is an active member of the Cherokee Street Development League. Pacia is also a co-facilitator and designer of community inquiry Listening Sessions with EVOKE (arts and culture), Citizen Artist (civic engagement), and the Incarnate Word Foundation (youth recreation). She is a core development member of Great Rivers Greenway Black Artists Council, and a steering committee member with Open Streets STL. Through her poetry and community work, Pacia has partnered with dozens of institutions of arts and culture, community non-profit organizations, grassroots and civic engagement groups, city recreation centers, and neighborhood youth to activate and sustain positive social change. Pacia received her Associate of Arts Degree in Journalism from Southwestern Illinois College. Her work has appeared in the Belleville News-Democrat, All the Art, Drumvoices Revue, Crossing the Divide, and The Quarterly, among others. In 2016, Pacia released her first spoken word poetry album titled circa.ep. Her first collection of poetry and writing is forthcoming.